Eee, the sun is back! Yay! I shall finally be able to take prettier pictures again, haha :) Though, today it is all kinds of dark, because it's cloudy. Ugh. But the darkest days are gone, finally. This week I did not read anything at all. Ahh! I just haven't felt good at all. I had the worst cold. Shudders. It has finally almost left me, so that's good. And.. I must admit. I have been busy playing Pokemon Sun every day. For hours. I just cannot stop, haha. I wish to be playing it all the time.. ack. I just love it so much :) But I am going to start a book today, because I need to finish a book before Tuesday. Ack. I can do it :D Because of this, I also only blogged once this week. Gosh. I will be doing better in February, I hope. But anyway. This week I'm waiting on Ally. <3 I also got so so so little mail this week. Only two books. And no pop figures. Hmph. Which makes no sense, because I'm still waiting on packages that got sent before Christmas. Ugh. So annoying. I hope they will make it here next week. Fingers crossed. Okay. I need to mention something. I'm leaving for Chicago on Tuesday :D And will be gone until late on Wednesday the week after. I have made WoW posts for then, but I will not be posting a IMM post while I'm gone. Aw. Not posting anything else either, I don't think, lol. But there will at least be WoW posts, so yay :) I'm just so excited to be going. Eee. And buying lots. But not too much. And eat tons of awesome food. And ahh. I'm so excited. Though the travel time is long, and that might kill me. Ugh. Anyway. This week I did comment a whole bunch. I'm almost all caught up; I will be finishing it before I leave on Tuesday. Have tons to do before then. Ack. I'm hoping I can get everything done :) I think I shall manage it. Fingers crossed. Overall, I had a good week. Carve the Mark. Okay. Here's the thing. I'm starting this one today, and I'm actually really excited about it. Because I think I will love the story and characters and writing. Because I do adore Veronica. And I have mostly loved her previous books. Before I heard about all the drama, I ordered three different editions of this book. US hardcover, and UK paperback and hardcover. They are all stunning. And I would still have ordered them after the drama. I get that there might be racism in this book. I also read this amazing post by Sabaa about that here. And here's the thing. I'm not going to not read a book because someone tells me to. I have seen tons of people getting hate because they are reading Carve the Mark. And no. That is NOT okay. We all have the right to read whatever book we want. Sure, some people might see racism in this book, but others might not, some might be bothered by it, but others might not be. And that is OKAY. Because that is the whole point of reading. Having different opinions about stuff. So just, yeah. Telling people not to read this book is simply not okay. We all have the right to read whatever the hell we want without being told we are wrong. Just so you know. I'm reading this book next, and I'm excited. I might hate it, I might love it, but I decide that. No one else. Anyway. Have you read this? What did you think? 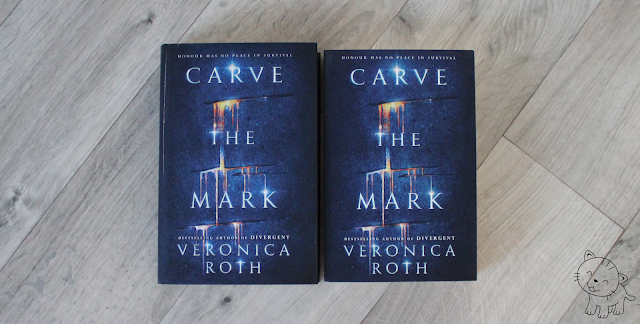 Carve the Mark looks great. I got it a few weeks ago. Awesome haul of books. Good for you, Carina, for thinking for yourself on this one. I never planned to read it because the synopsis didn't appeal to me to begin with, but after reading Sabaa's heartfelt response to being attacked over supporting it, I'm nearly curious enough to pick it up. 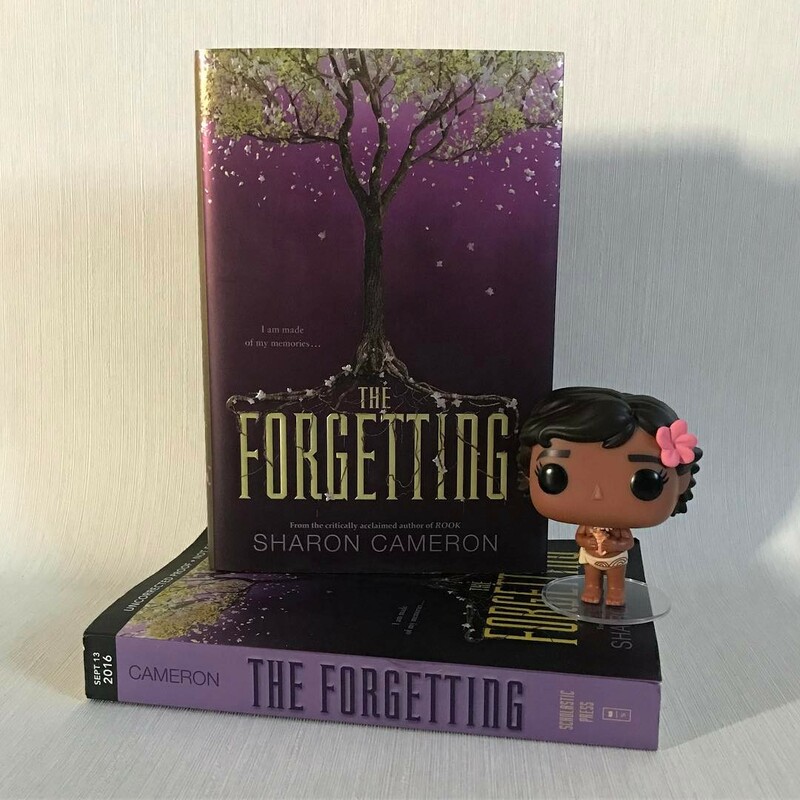 Pretty covers are my biggest weakness Carina, and these books look amazing! I'm glad the weather is improving for you, its still freezing over here. I'm still jealous about your trip to Chicago, I hope you have an amazing time! Just saw on Instagram that you're 300 pages into Carve the Mark and you're loving it - this is very encouraging! Honestly, your mention here is the first I'm hearing about the controversy surrounding the book... I don't know what to think and I'm not going to make up my mind on it until I've read the book for myself. Because as you say, people are going to have differing opinions and they should not be made to feel ashamed for reading this book. I will check out Sabaa's post next. Such pretty covers :) What a lovely cover of The Forgetting, it is soooo gorgeous, and I was really enjoying the part that I read of that book. I hope to go back and finish it at some point. Great haul!